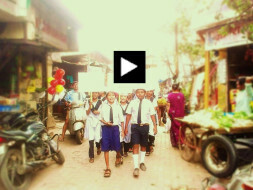 Children are standing up to take collective action against their community issues.Let's support them! Sahil, 12 yrs old, 7th standard student of Govandi Municipal School, Mumbai is one of many kids who are easily labelled as ‘fidgety’, ‘distracted’, ‘disrupting’, ‘restless’. But there was more to him. 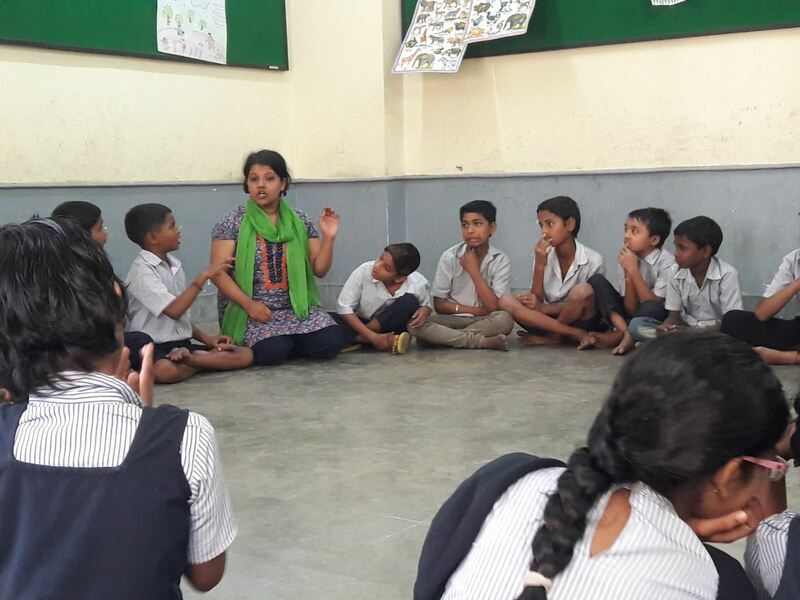 His journey with Apni Shala has helped us discover him, and ourselves as teachers. Tag along with us and Sahil on this interesting read about the journey which will sum up the cause, the need & reasons of existence of an initiative called Apni Shala. CLICK below to know more about Sahil- the boy who wouldn't stand still. 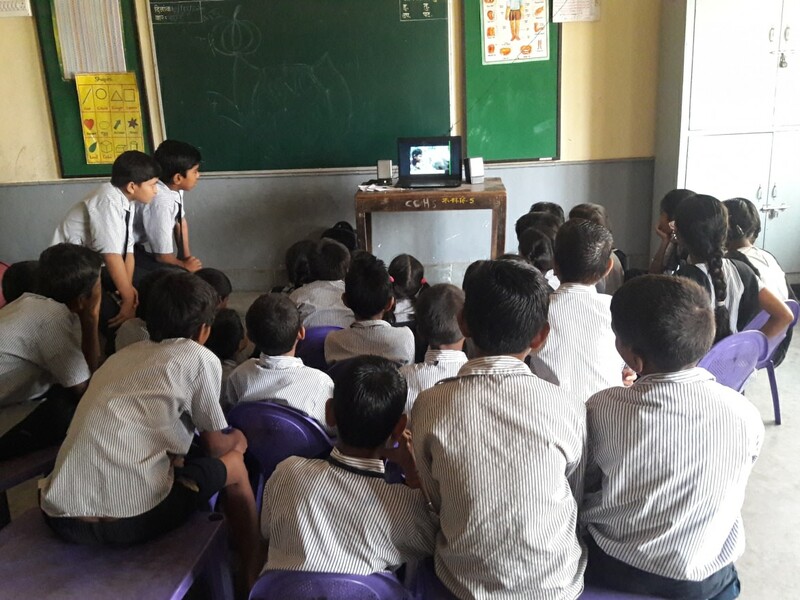 At Apni Shala, we believe all children have the inherent potential to develop into positive, confident, socially aware and reflective citizens. All we need to do is give them experiences which can help them develop all these skills. And we've discovered that one of the most powerful ways to do so is through Service Learning! 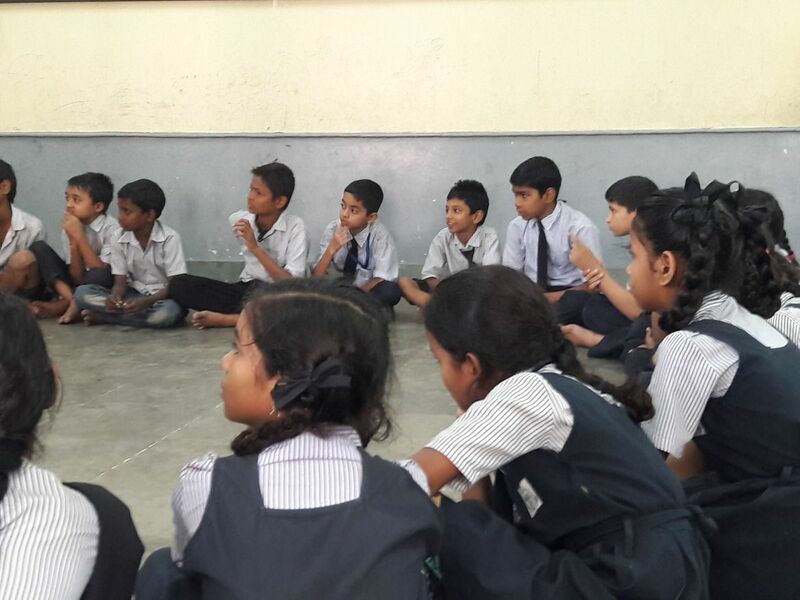 Service Learning Programme at Apni Shala is based on the Gandhian philosophy of 'learning through community service'. Through this programme, we engage children aged 12-14, coming from low-income communities. It all begins with a group of students identifying a social problem in their community, then, conducting a research on that problem, and finally ends with the children designing a local solution to address the problem in their own way. This year-long process is supplemented by talks from experts in various fields such as waste, water, education, women, you name it - eventually broadening their perspective about the issues they've taken up! This whole experience empowers them, enhances their confidence, ignites their curiosity, develops critical thinking and triggers active citizenship! A host of life skills including leadership, communication, team work and self-esteem are also developed during the whole process. We piloted this year long programme with 50 children last year. How did Service Learning help children? At the end of this year-long journey, here's how many children showed improvement across 5 life skills! Numbers don't always tell the whole story! There are was so much more. 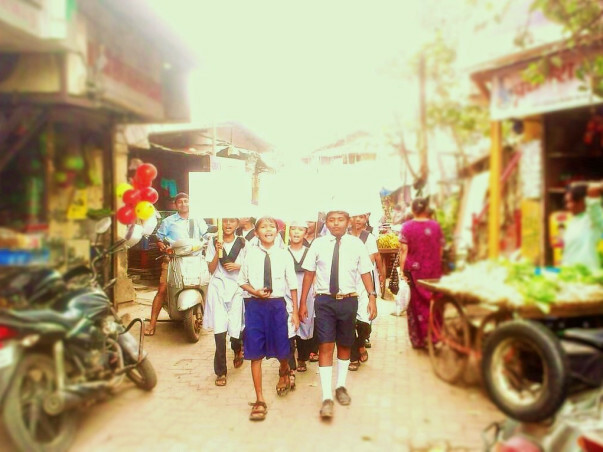 Children went all around their localities performing rallies, street plays and engaging locals in conversation about these issues. One of the groups started basic literacy classes for women for a month in their community. A literacy class for adults by children! How amazing is that?! Another group working for women safety wanted a cop to be on patrol duty outside the school, in order to ensure there was no eve teasing! So they decided to go for a signature campaign of more than 150 people! They then submitted this to the nearest police station and filed the request! Basic Literacy Classes run by 7th standard kids for women from Reay Road slums. Seeing the positive impact of the program last year, we plan to take the programme to 400 more children this year! These children are from 7th & 8th standards, attending municipal schools in Mumbai. Whether your contribute big or small, you'll help change the way children learn in current schools. You can start with as small as Rs.500. #80% of your above contribution is utilised for fee for facilitation and content development. #20% of your above contribution is utilised for capacity building of facilitators, parents' meeting expenses and community projects expsenses. Service Learning Programme is a resource intensive programme. A facilitator puts in approx 50-60 hours in the class and on the field with each group, with additional community visits and parents' meetings. START YOUR CAMPAIGN with Apni Shala and be the CHANGE AGENT! Every supporter counts. YOU count! Read our story in Your Story! Calls us, write to us, ping us!